Cambridge, MA — January 9, 2018 — In 2017, the average year-end reported taxes saved across our client base for tax managed accounts was 1.6%. Many advisors say they add value through tax management. Smartleaf clients can prove it. 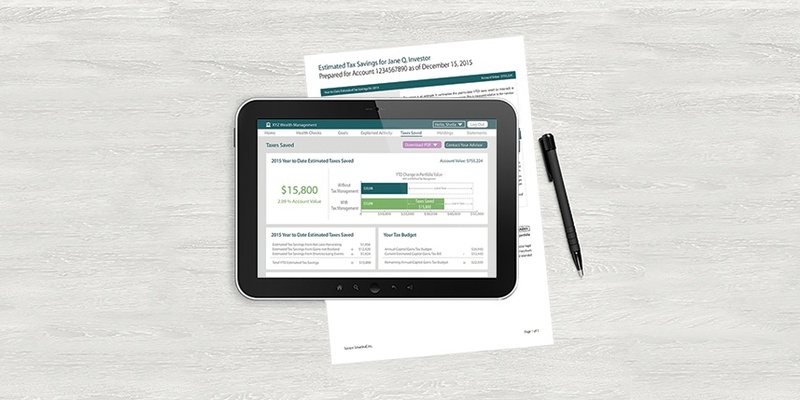 Smartleaf’s Taxes Saved report shows how much advisors save each client in taxes. “Going forward, it won’t be enough for wealth managers to just talk about tax management—they will have to demonstrate the value they provide. Our client firms have long delivered exceptional tax management. Now, they can prove it,” commented Gerard Michael, Smartleaf’s President.